People who have money and care about their looks usually opt for surgery to eliminate it. That goes to show how much some people hate a double chin. The dislike for sagging chin is on the same scale with belly fat. 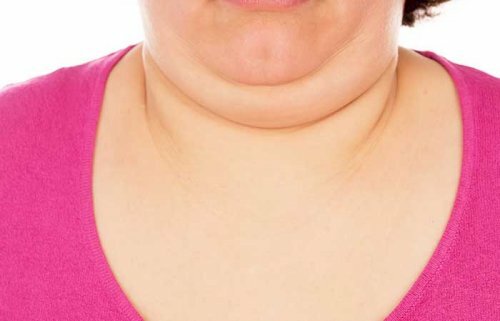 Though double chin affects older people more, even the young who are prone to obesity get it. 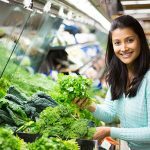 Bad eating habits and the wrong lifestyle choices would also give you sagging chin. These exercises though are not just to firm-up your sagging chin. They can also be used to prevent sagging chin. At least, you won’t have to worry about buying clothes with larger neck sizes. 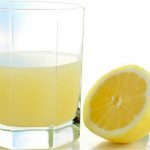 Read on to see some of the simple exercises you can do to firm-up your sagging chin. 1. The first exercises can be done while you are still in bed in the morning. Adjust your position while lying down so your head hangs over the side of the bed. Then slowly lift your head towards your chest by contacting the muscles around the neck. Move the head as far as it can go. Make sure your shoulder remains on the bed. Hold that position for about 10 seconds, then slowly move your head back to your starting point. Repeat this again to complete one set. Then take a break from sitting up. Do two more sets for a total of three sets. Always remember to rest in between sets. 2. This next exercise to firm-up your sagging chin can be done while sitting or standing. Sit or stand erect keeping your spine straight and taut. Then rotate your head so it describes a full circle from the shoulder, to the chest, and to the other shoulder. A full circle is one rep.
Repeat it 9 times to complete one set. Then do the second set in the opposite direction. 3. For best results, you need to stand erect while doing this exercise. Tilt your neck back until you are looking at the ceiling. Then imagine you want to give the ceiling a solid kiss. So pucker your lips and push them as far as possible towards the ceiling. Hold this position for about 5 seconds. Then relax your lips and lower your chin. Repeat this about 10 or more times to complete one set. After resting for about 1 minute, do another set. 4. You can stand or sit while doing this next exercise. But your back must be straight and taut. Keeping your lips together, move your jaws up and down simulating the chewing action. Then open your mouth as wide as possible while exhaling slowly through your nose. 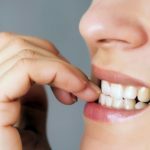 Finally, use the tip of your tongue to press firmly against the back of your lower teeth. Hold this position for about 10 sections while exhaling and inhaling slowly. Repeat this to complete one set of two reps.
5. This exercise is almost like kissing the ceiling exercise (3). This time though, you would need to be seated with your shoulders relaxed. Tilt your neck back until you are looking at the ceiling. Your lips should remain closed but relaxed. Then while looking at the ceiling, slowly open your mouth to form an ‘O’ shape. Hold this position for about 20 seconds. Return your chin and neck to the starting position. Repeat it 9 more times to complete a set of 10 reps.
You can rest a bit before doing the second set. 6. 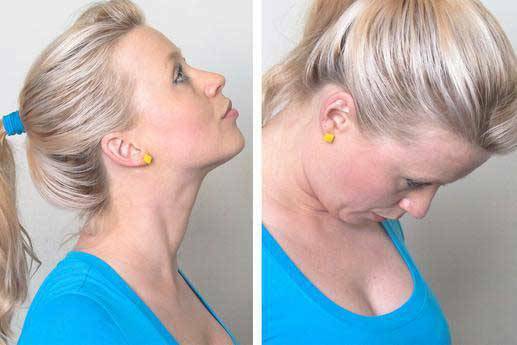 This exercise is one of the best exercises to firm-up your sagging chin. While sitting or standing, open your mouth as wide as it can go. Then stick out your tongue as far as it can go. Hold this position for about 10 seconds. Return your tongue and mouth to the starting position and rest for a bit. Then repeat 9 more times. 7. This exercise can be done while sitting or standing. First of all, stick out your lower lips as far possible to turn your mouth into a sort of pout. Hold your lip in that position; contract your neck muscles while moving your head forward until your chin touches your chest. Hold this position for a few seconds before withdrawing your lower lip and lifting your neck back to an upright position. Repeat this 9 times to complete a set. Do another set after resting for a bit. Doing these exercises consistently would begin to show results after a few weeks. You would notice a stronger, more defined jaw line. The key here is patience and consistency. 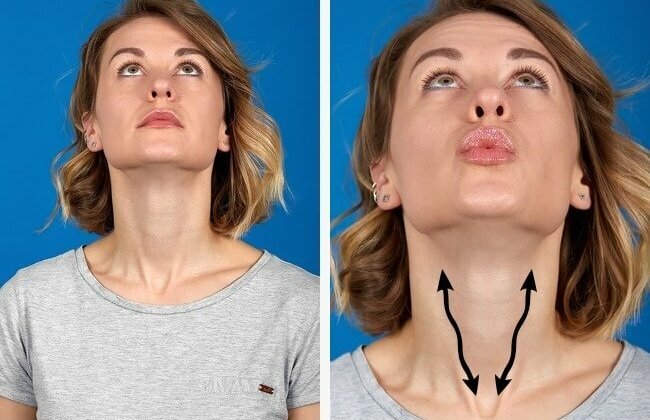 For those who don’t have a double chin yet, these are good exercises to prevent sagging chins and of course, keep your jaws strong and healthy. Have you liked our Facebook page yet? We would appreciate it if you do so now. And while at it, you can follow us on Twitter too. 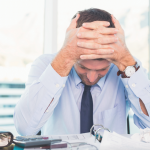 Stress Management Strategies: A Wholistic Approach To Getting through Tough Times.